Weavers are truly magical birds, combining bright plumages with ingenious weaving talents and cheerful, noisy social lives. 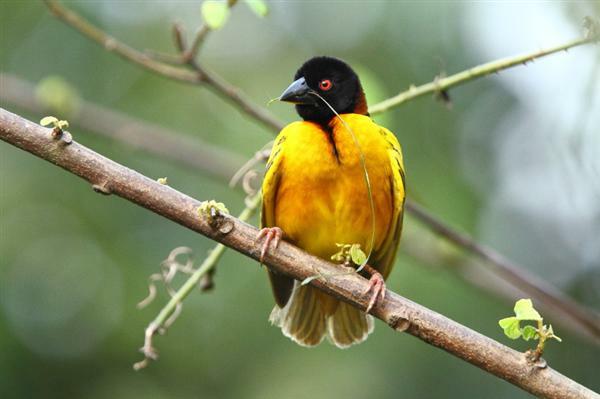 The IOC world birdlist recognizes 90 species that bear the name “weaver” or “malimbe”. Not all of these are true weavers as we will discuss below. Of these 90, all occur in Africa bar 5 Asian and 2 Malagasy weavers. This blogpost will introduce you to the various genera of birds that are considered to be weavers. 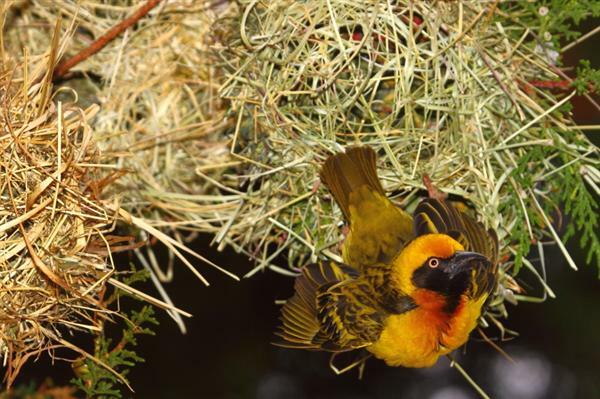 The Village Weaver is the archetypical African weaver, and aptly named as they do often nest in African villages. This male has torn a strip off a leaf and is about to weave it into his nest. Image taken by Adam Riley in Ghana. There are currently 64 recognized species in this genus, a remarkable number indeed, and this includes the 5 Asian and 2 Malagasy species. These are the typical weavers – abundant, bright yellow birds that weave beautiful cylindrical nests with tubular entrances, and noisily buzz and display around their communal nesting colonies which usually situated over waterbodies. The Spectacled Weaver nests solitarily. This male is at the early stage of nest construction. Photo taken by Adam Riley in South Africa’s Kruger National Park. This is the weaver standard, but as always in nature there are exceptions, especially when such a large number of species is involved! 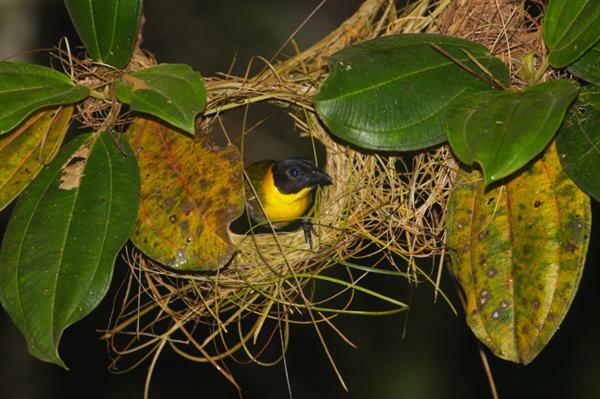 Some of the Ploceus weavers nest solitarily, such as Spectacled and Olive-headed Weaver; some are not yellow at all, such as Chestnut, Maxwell’s Black and Vieillott’s Black Weaver; some live and nest deep inside rainforests such as Strange and Brown-capped Weaver. Some are also inexplicably rare, for instance Bates’ Weaver, a virtually unknown Cameroonian species, and Fox’s Weaver, Uganda’s only endemic which is restricted to a few remote lakes where even there they are rare. 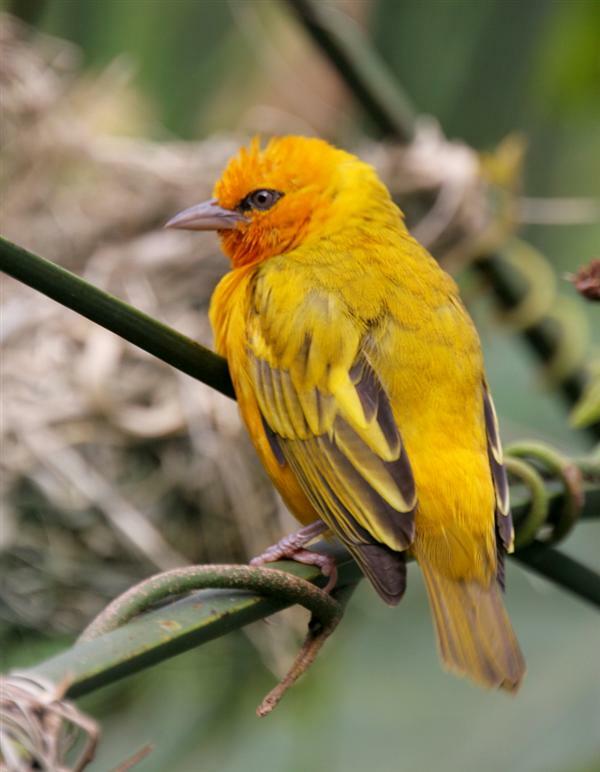 However many weavers have wide ranges across Africa, notably the most familiar of all weavers, the Village Weaver, but several are highly range-restricted including the mythical Yellow-legged and Golden-naped Weavers which are restricted to a few forests of inaccessible Eastern DRC, Clarke’s Weaver which occurs in just a few Kenyan coastal forests and the recently described Kilombero Weaver known only from its namesake swamp in Tanzania. The West African form of Vieillot’s Black Weaver is chestnut and black but the East African form is pitch black. This male is busy weaving grass blades into a nest. Photo taken by Adam Riley in Ghana. As mentioned, these Ploceus weavers typically construct cylindrical woven nests with long tubular entrances that are suspended from branches overhanging waterbodies. 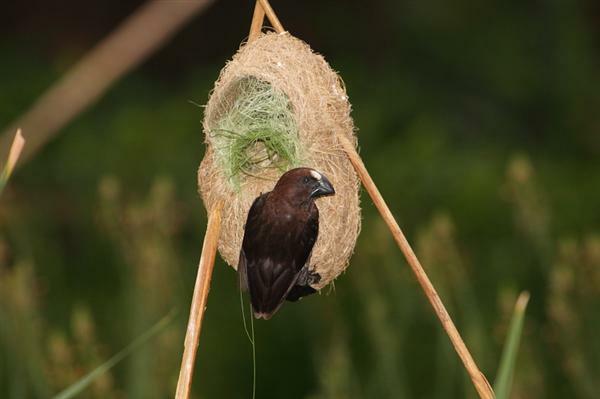 These nests are made from grass, palm leaves and other plant material that can be torn by the weavers into long strips. The male bird, using only his feet and beak, is able to weave the most intricate and strong nests from these strips, a remarkable feat indeed, and one can spend hours marveling at their dexterity and intelligence as they hang upside down and carefully weave new material into the body of their nests. Each male builds numerous nests, most of which are rejected by the female, who will eventually select a nest she is happy with, allow the proud architect who usually hangs under his masterpiece to mate with her and then begins the breeding process. It’s often considered wasteful that so many nests are abandoned and left to degenerate, but my theory of one of the reasons for this behavior is related to predation. African Harrier-Hawks, snakes and other predators frequently raid weaver colonies to rob the nests of eggs and chicks. If every single nest was filled with food this would be a treasure trove of protein for relatively minimal effort, but if only 1 in 5 or 10 nests is occupied, the predator goes to extreme effort (its difficult to rob a nest hanging off a small branch dangling over water) for relatively low reward, so only occasionally avails itself of this method of foraging. A male Lesser Masked Weaver ensures his nest is securely attached to a hanging branch. The masked weaver complex of yellow weavers with black faces consists of numerous species. Photo taken by Adam Riley in South Africa. Madagascar has 2 species of weaver, Sakalava in dry country and Nelicourvi Weaver from the rainforest zone. Here a male Nelicourvi Weaver is busy building a nest. Image taken by Adam Riley in Perinet, Madagascar. A Speke’s Weaver hangs upside down from his nest and shakes his wings whilst emitting a loud buzzing, chattering call to attract females. Photo taken by Adam Riley in Kenya. 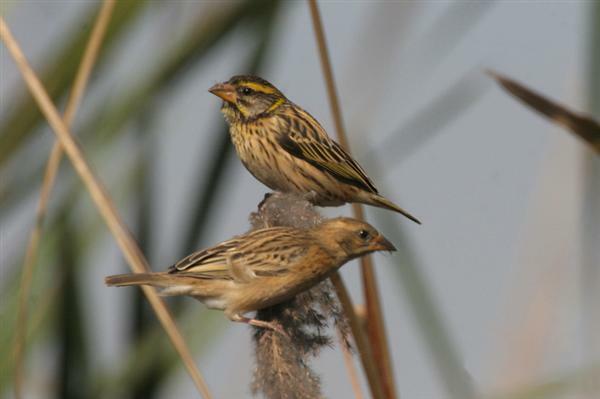 A pair of Streaked Weavers, one of the 5 Asian species, feeding on grass seeds. Photo taken by Adam Riley near Delhi in India. The Orange Weaver is one of the yellowest of all the weavers. It has a tropical African range. Photo taken by Adam Riley in Uganda. 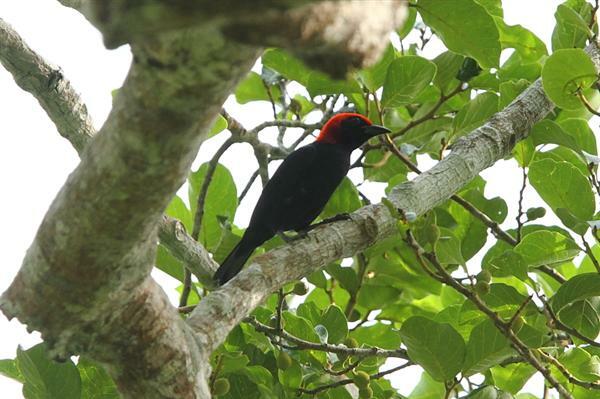 The Red-vented Malimbe displays the typical malimbe black and red plumage. Image taken by Markus Lilje/Rockjumper Birding Tours in Cameroon. The Malimbes are a genus of 10 forest dwelling, mostly black weavers. Eight of the species also display brilliant red plumages, varying from just the cap (Red-crowned Malimbe) to red throats (Blue-billed Malimbe), all the way to Red-bellied Malimbe which sports a red head and underparts. There are also two rare species that have no red, the yellow and black Gola Malimbe and gold and black Rachel’s Malimbe. Some of the malimbes forage in nuthatch or woodpecker fashion along trunks and branches of rainforest trees and they are frequent members of bird parties. All occur in the Guinea-Congolese rainforests of Africa, with Red-headed being the most widespread. Red-headed Malimbe is the most widespread species in the genus. Photo taken by Adam Riley in Ghana. A male Red-headed Weaver collecting shoots for building his nest. Image taken in South Africa by Adam Riley. This unique weaver through most of its range shows a brilliant red head, yellow wing panels, white belly and a red bill. However some of the Ethiopian subspecies are almost completely red. 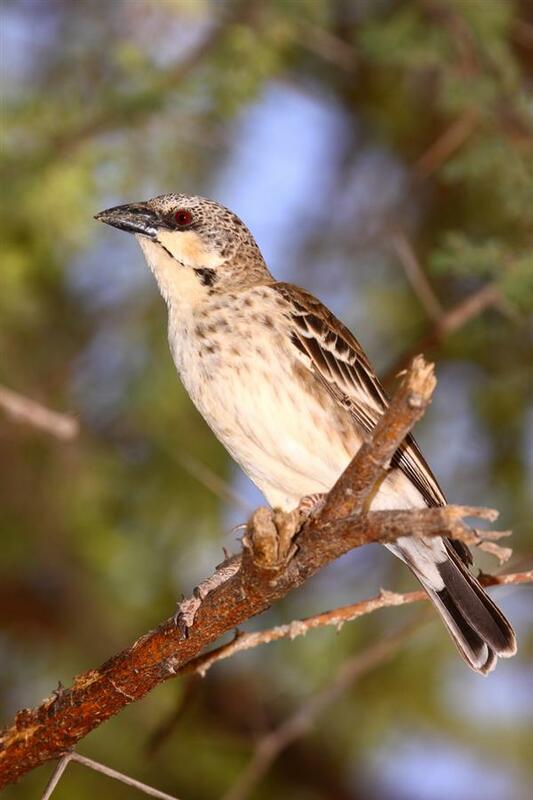 They occur in drier savanna and nest in small colonies, weaving their nests out of much drier material than the Ploceus weavers (usually twigs and leaf petioles), hence their nests always look old and deserted even when they are actively in use. 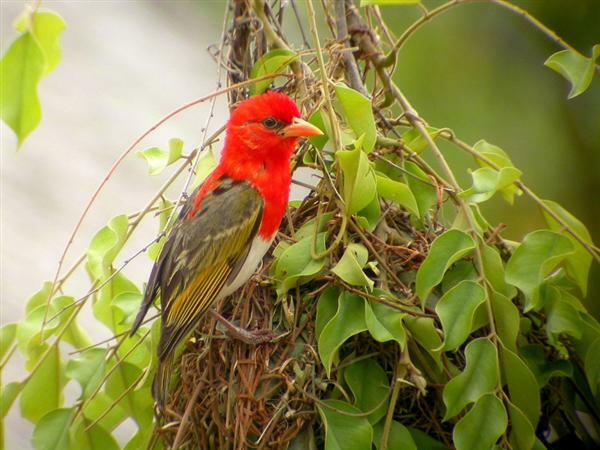 A Red-headed Weaver at his nest in Kruger National Park, image by Adam Riley. 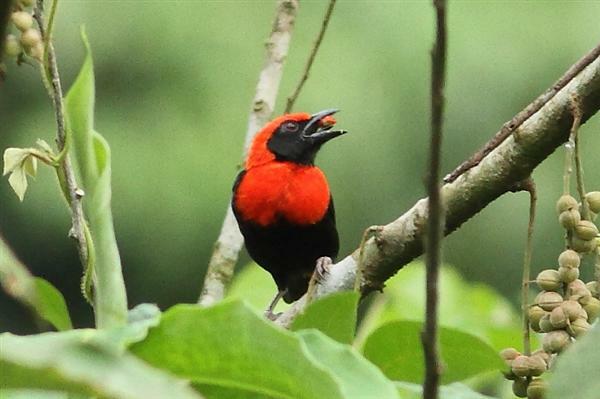 This aberrant, diminutive weaver-like bird is a mysterious species seen by very few birders. Its restricted range extends from the very northern parts of Angola, eastern People’s Republic of Congo and western DRC with a few records from Central African Republic, but even within this range, it has been recorded only in isolated patches. 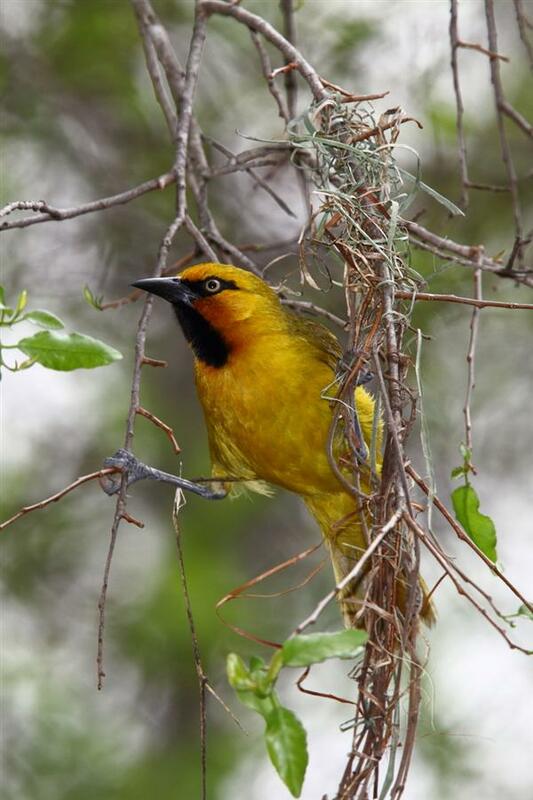 It shows typical weaver plumage, yellow with a black face but has a very short tail and small size. At this stage its taxonomic relationships are merely guesses. 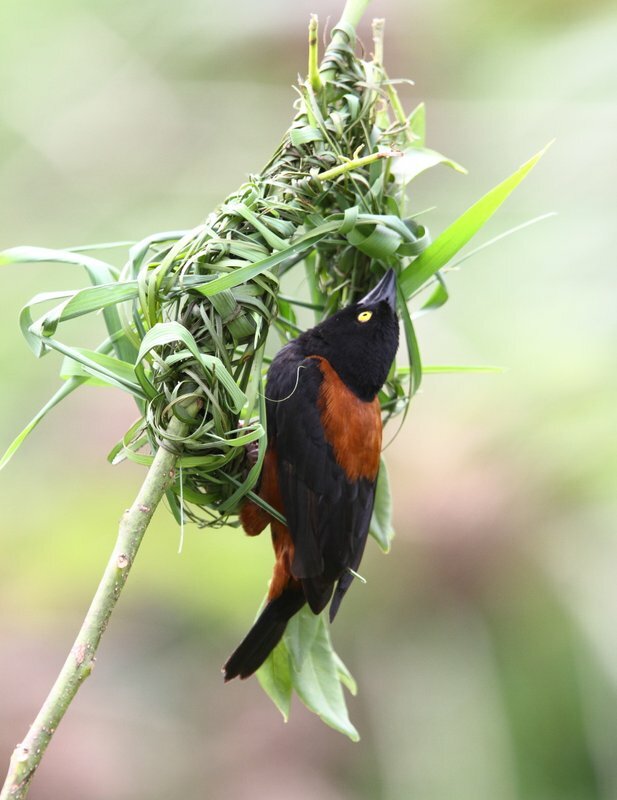 A male Grosbeak Weaver adding fresh vegetation to his finely woven nest. Image taken by Adam Riley in Tanzania. The Grosbeak (of Thick-billed Weaver) is another aberrant and unique weaver species, but unlike the Bob-tail Weaver, it is widespread and common. This dark weaver constructs a beautiful, finely-woven nest that is suspended between two reed stems inside marshes. They disperse widely to forage during the day and in the evening high flying flocks can easily be detected by their distinctive calls as they return to the natal swamps. This species is a bander’s nightmare, their powerful beaks can inflict serious damage to the unwary bird bander’s thumb or finger! The Scaly-feathered Weaver is a tiny bird, hence it’s usually called a finch rather than a weaver. Its staring eye and Fu Manchu moustache make for a severe expression. Image taken by Adam Riley in South Africa. These two arid-zone species are rather dull-colored, but attractively marked small weavers. Scaly-feathered is in fact tiny, hence the more widely used but incorrect name of Scaly-feathered Finch. This species occurs across southern Africa’s Kalahari region, whereas Speckle-fronted ranges over the dry Somali-Maasai arid zone biome of East Africa. They both build large scruffy grass nests with side entrances, and are usually found in small flocks foraging for seeds in grassy areas of Acacia savanna. The Speckle-fronted Weaver is an attractive East African species. Image taken by Adam Riley in Tanzania. A Scaly-feathered Weaver takes to wing. Image by Adam Riley in Namibia. 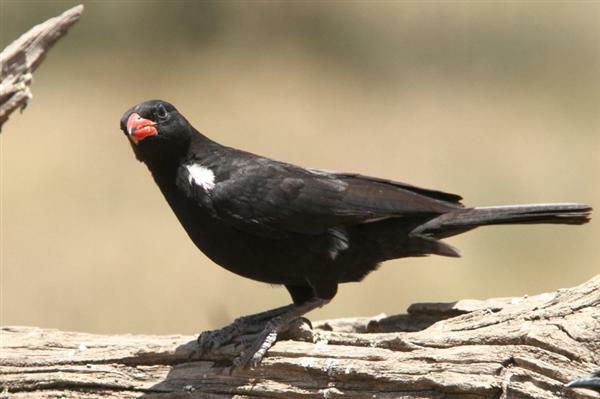 The two species of black buffalo weavers are large, noisy birds of drier areas of East and southern Africa. 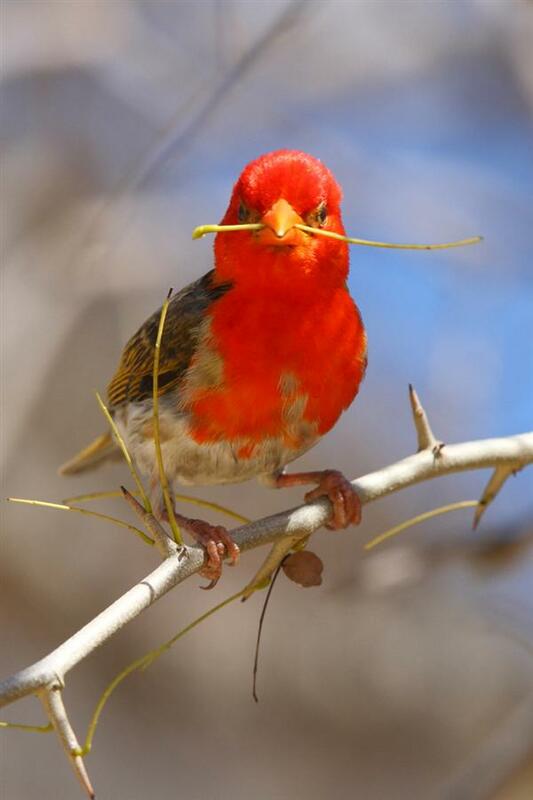 Red-billed is the most widespread, occurring in both regions, whereas White-billed is only found in East Africa. These two species are quite similar with black bodies, pale wing panels, varying only in their bill color. These weavers build massive, shaggy communal nests as high as possible in savanna trees, and even in power pylons when available. 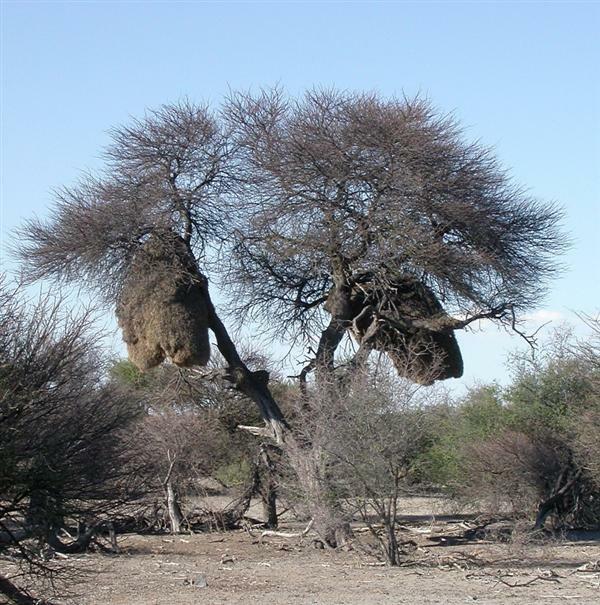 A typical arid zone weaver colony, the large messy stick nests of Red-billed Buffalo Weaver, together with the smaller cylindrical nests of Southern Masked Weaver. Image taken by Felicity Riley in Namibia. The White-headed Buffalo Weaver’s plumage is unique within the weaver group and the sexes are alike. Image taken in Tanzania by Adam Riley. White-headed Buffalo Weavers are only found in East Africa and are strikingly different from the black buffalo weavers, sporting a white head and underparts, black back and red rump. Their nests are also a messy structure due to protective thorns on the outside, but the interior is constructed of softer grasses. 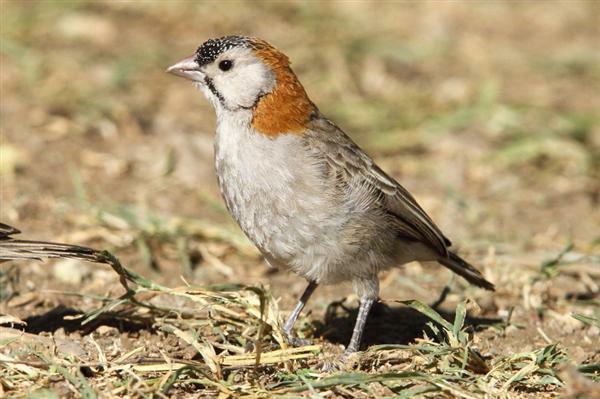 The localized Donaldson-Smith’s Sparrow-Weaver is found in arid woodlands of the Somali-Maasai biome. Image taken in Samburu, Kenya by Adam Riley. This group of 4 species (as well as all the remaining “weavers” that are covered below) are not even placed in the weaver family (Ploceidae) but in Passeridae – the Old World Sparrow family. The sparrow-weavers are dull but boldly patterned medium-sized birds that build moderate, shaggy communal nests out of straw. They occur in dry savanna as well as broadleafed woodlands. The most widespread is White-browed which ranges through most of southern and East Africa outside of the forest zones. Chestnut-crowned is a Guinea woodland species, with its range stretching in a narrow belt right across the broadest section of Africa and wedged between the dry Sahel and the rainforest zone. Its sister species, Chestnut-backed, shows a similar range but in the Miombo woodland zone of south-central Africa, and finally Donaldson-Smith’s occurs in the Somali-Maasai arid zone, with a rather restricted range from northern Kenya to southern Ethiopia and Somalia. 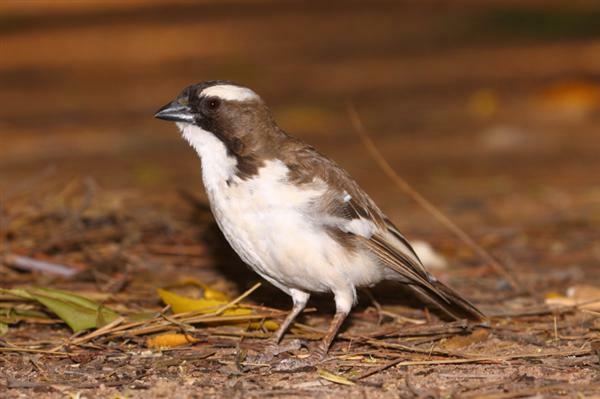 The White-browed Sparrow-Weaver is the most common and most widespread of its genus. Image taken in Kenya by Adam Riley. The Rufous-tailed Weaver is an ancient link between weavers and sparrows. Image taken in the Serengeti, Tanzania by Adam Riley. 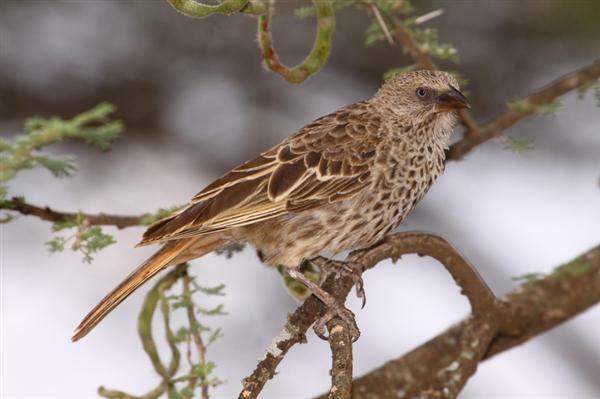 This rather aberrant weaver-like bird is endemic to northern Tanzania, although the first Kenya record was recently obtained during a Rockjumper Birding Tour in the Maasai Mara. It commonly occurs in the Serengeti, Ngorongoro and Tarangire reserves, which make up the bulk of its range. 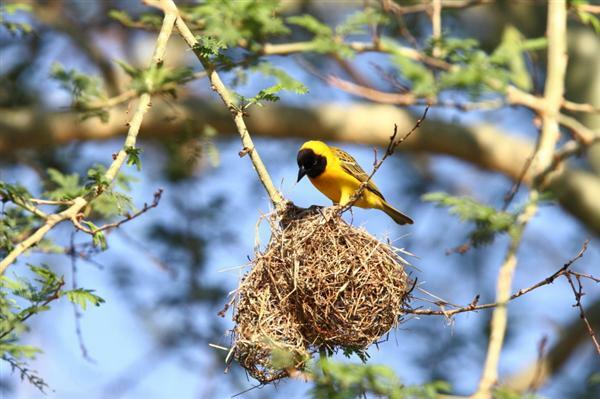 Its messy nests of straw are placed in Acacia trees. Sporting a unique pale blue eye, it is apparently an ancient link between sparrows and weavers. A portrait of a Gray-capped Social Weaver by Markus Lilje/Rockjumper Birding Tours, taken in Tanzania. The two small species known as Social Weavers occur through the savannas of East Africa in small, noisy colonies. 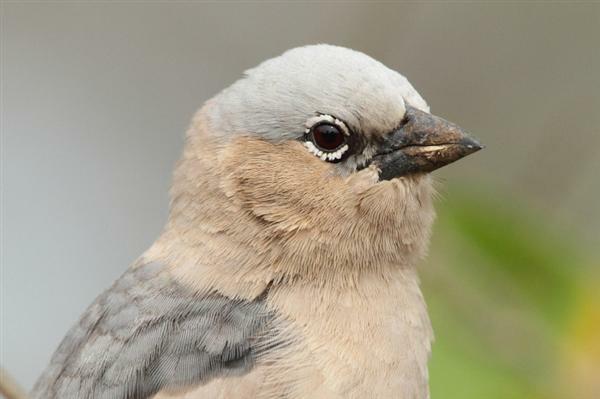 They are attractive although not very colorful birds, Gray-capped being a pleasing brown color with a pale blue-gray cap and Black-capped sporting bright white underparts and a striking black face and crown. 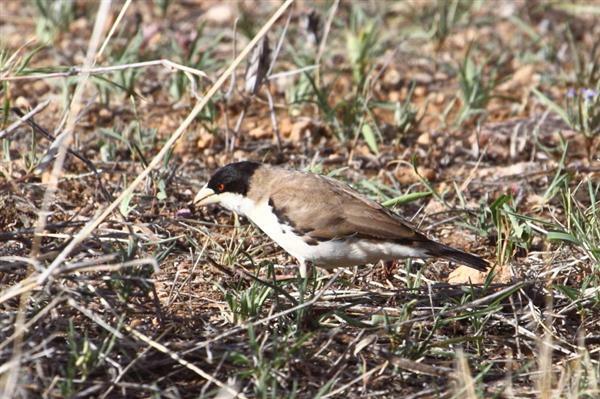 The Black-capped Social Weaver foraging for seeds on the ground. Image taken by Adam Riley in Kenya. 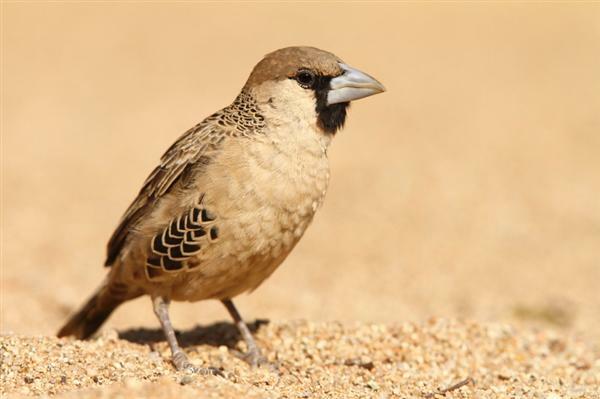 Although the Sociable Weaver is not colorful, it sports attractive patterning. Image taken by Adam Riley in Namibia. Last but certainly not least is the remarkable Sociable Weaver. This small, plain but not unattractive bird is most notable for its fantastic nests. Colonies are structured around massive dome shaped nests built into trees and more recently telephone poles and other structures. 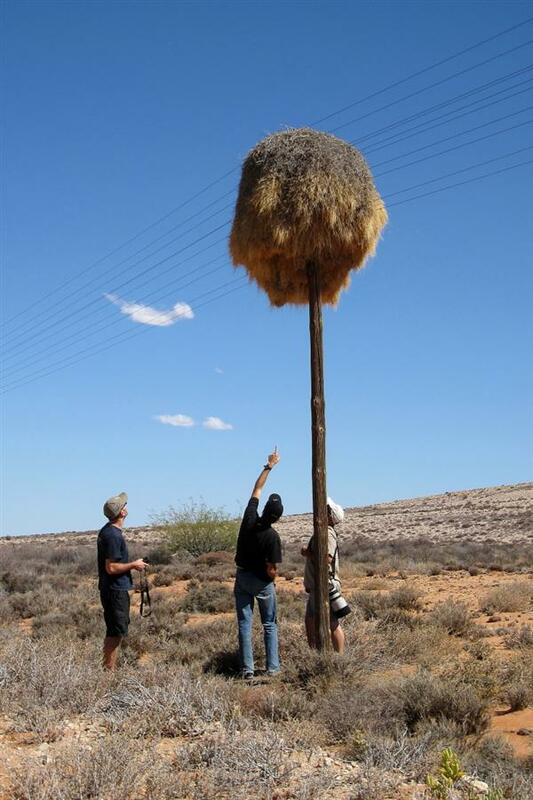 These nests can weight up to 1 ton! 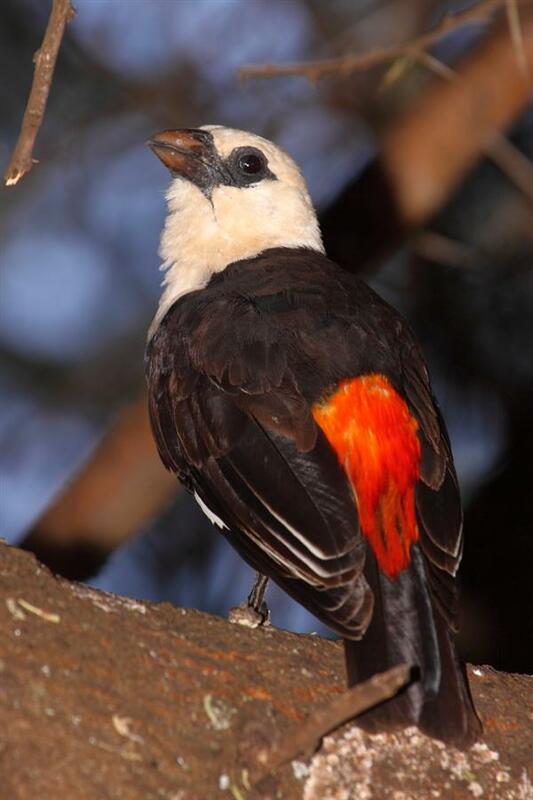 The undersides of these nests are dotted with entrance holes leading to breeding chambers used not only by their engineers the Sociable Weavers, but also Rosy-faced Lovebirds, Acacia Pied Barbets, Red-headed Finches and Pygmy Falcons, even concurrently! 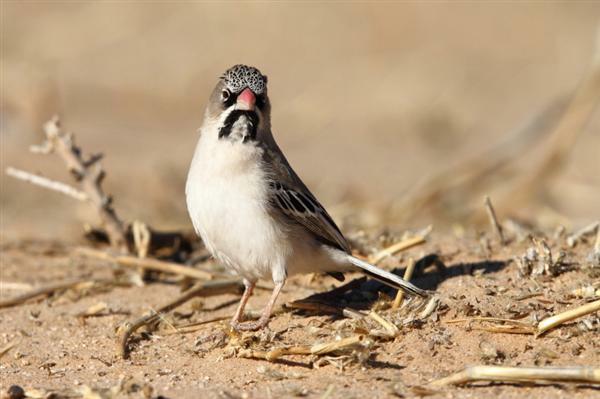 They occur through the arid Kalahari zone and these busy birds are always a delight to watch. Sociable Weavers usually construct massive nests weighing up to 1 ton in large trees. Image taken in Namibia by Adam Riley. More recently, Sociable Weavers have taken to constructing their nests on telephone poles. Photo by Felicity Riley taken near Pofadder in South Africa. Wow, you’ve outdone yourself, Adam! Phenomenal. Amazing treatise on a cool group of birds! I always look forward to these African bird family posts! Interesting how the plumages of several weaver species are similar to those of an unrelated, nest-weaving group of birds- the orioles. Perhaps similarities in sexual behavior and habitat select for such color patterns? I agree with Mike! Great photos. I’d never even seen a picture of a Sociable weaver nest. How have I missed that??!! Hi Adam, I was so thrilled to see forest weavers making a nest in the river area before we get to the plains at Zuka. What a beautiful bird. excellent information about the weaver birds. Adam, great article and pics. Can you confirm that weaver colonies in Zimbabwe build their nests only on the west side of trees. I know they can be used for navigation in the bush, but am not sure which side of trees they build their individual nests.